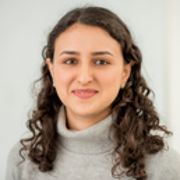 I am a Msci Mathematics and Physics student at King's College London, where I am a teaching assistant for foundation year (A-level equivalent) Mathematics and Physics modules. I have also tutored many children for 11+ entrance examinations, and non-verbal and verbal reasoning tests. 11+ Maths and english private tutor. Foundation (A-level/IB equivalent) Mathematics and Physics.